Yesterday, I featured cake towers topped with homemade marshmallows. Today, I have an elegant treat that updates marshmallows for more grownup tastes (though you won't be able to keep the kids away from them either.) 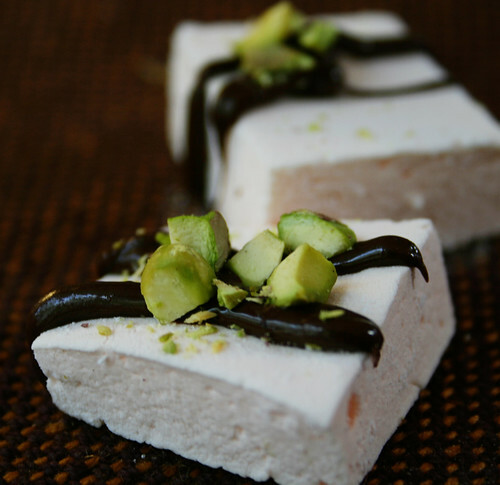 Orange-flavored marshmallows topped with ribbons of chocolate and chopped pistachio are a perfect mix of sweet and salty, smooth and crunchy. 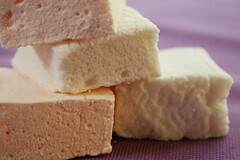 One of the pleasures of homemade marshmallows is flavoring them to suit your own taste. Basic recipes call for adding vanilla extract near the end: Substitute anything you like. Here, I use orange. The basic marshmallow recipe is adapted from Alton Brown. 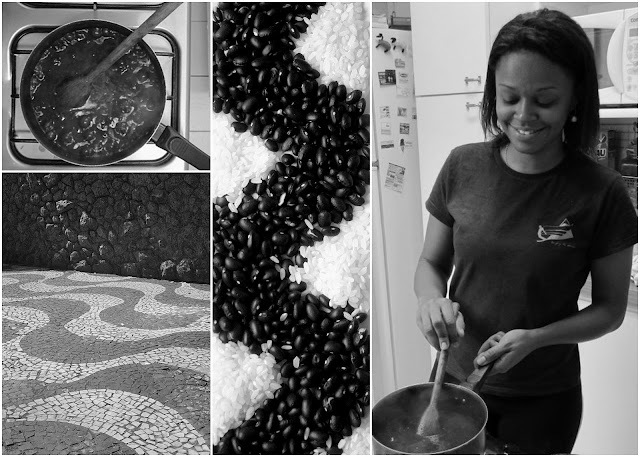 It's a sticky process, but great fun! Lightly oil the bottom and sides of a 9x13 pan. Combine the confectioners sugar and cornstarch and dust pan with mixture. In the bowl for your mixer, pour in 1/2 cup of cold water and sprinkle gelatin on top. Let it sit so the gelatin softens and blooms, about 15 minutes. In a small saucepan, combine remaining 1/2 cup of water, sugar, corn syrup, and salt. Cover and set over medium high heat and cook for 3 to 4 minutes. Uncover, clip candy thermometer to the side, and continue cooking until it reaches 240°F (this can take 8-10 minutes). Take the pan off the heat. Start the mixer on low speed and carefully pour the sugar mixture over the gelatin. Beat on high speed until the mixture is white, thick, and about tripled in volume (about 10-15 minutes). Add the orange extract during the last minute of mixing. Pour marshmallow mixture into the pan, spreading it as evenly as possible. Dust the top with remaining sugar and cornstarch mixture. Let marshmallows sit for four hours to overnight. Once the marshmallow has set, you can remove it from the pan by loosening the edges with a thin knife and peeling the marshmallow block out, or inverting the pan. Dip a pizza cutter in remaining sugar and cornstarch mixture, and use it to slice marshmallows into 1-inch pieces. Dip cut sides of marshmallows in sugar and cornstarch and set on wire rack over waxed paper. Melt chocolate using either a double boiler (melt chocolate in glass of metal bowl set over saucepan of boiling water) or the microwave (1 minute at half power, stir, and repeat until melted). 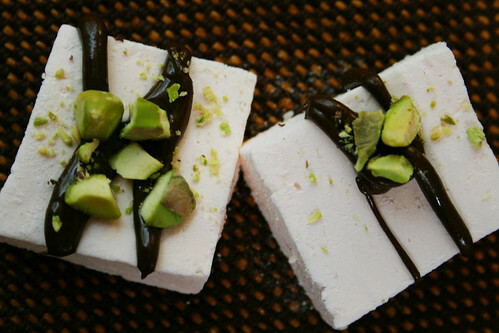 Drizzle melted chocolate over marshmallow squares and sprinkle with chopped pistachios. These sound delicious, really anything with chocolate and pistachio peaks my interest! Wow what a combo! These look delicious!